Jessica L. Heywood is the instructor for Georgia Law's Washington, D.C., Semester in Practice program, which allows up to 15 students to live and work in Washington, D.C., for a semester while earning course credit. She is responsible for recruiting and maintaining ongoing contact with externship sites, teaching the clinic seminar class and serving as a supervisor and mentor to students participating in the program. Heywood has lived and worked in our nation's capital since 2002. Before joining the Georgia Law faculty in 2011, Heywood served as director of the Office of Career & Professional Development at The Catholic University of America Columbus School of Law. In career services, she managed the office responsible for providing career development support for all students, including outreach to employers throughout DC. During this time, she also taught and supervised in its nationally recognized externship program. Previously, she was an associate at Robins, Kaplan, Miller & Ciresi in Washington, D.C., and Fenwick & West in Palo Alto, Calif. She has also served as a judicial clerk for Judge G. Ernest Tidwell of the U.S. District Court for the Northern District of Georgia. 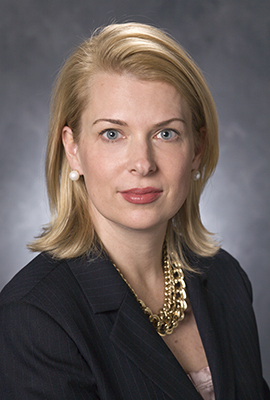 Heywood earned her bachelor's degree in political science with honors from Emory University and her Juris Doctor with honors from UGA, where she served on the Georgia Law Review.